Spring if FINALLY here ! We're painting and polishing all of our equipment for your next outdoor event. 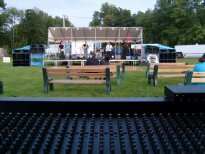 Call now to book your sound system for 2019 Summer festivals and concerts. Having a party and don't think you can afford a DJ? Rent our do-it-yourself DJ system to host your own party. Suitable for indoor & outdoor! Once again we were honored to donate our services for this year's ride. 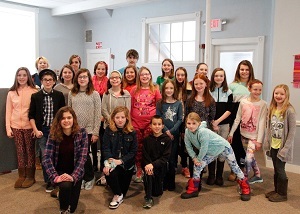 It is our pleasure to help support a great cause like this one each year! Again, we provided live sound services for the entertainment stage all day. We hope you came and saw us and all the local entertainers, food, and vendors. We have "Up-Lighting" for your event. Popular with weddings, proms, corporate events, etc. We recently added 25 "Shure" Wireless Headset Microhpones to our inventory - - that means we can mic the entire cast in your next stage production. 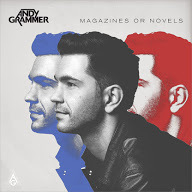 We highly recommend this feel-good video by Andy Grammer - check it out ! for live Irish and Celtic music! There's No Biz Like Show Biz! Our goal at Encore Entertainment is to provide you with professional sound and lighting services at unbeatable prices. We have a lot to offer at Encore - from ala carte rental items and small PA systems to our full concert sound and stage lighting production service. 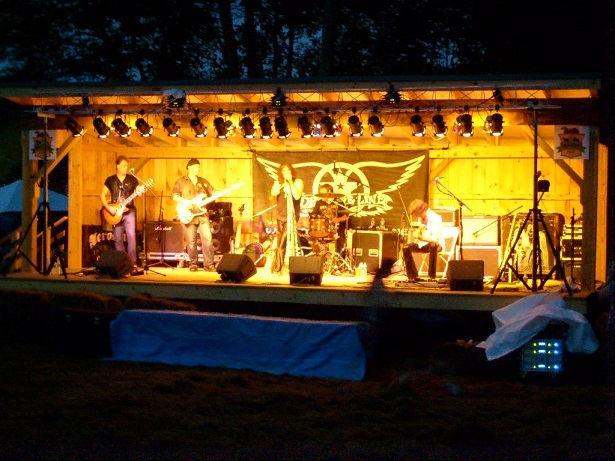 Our specialty is outdoor events using our highly efficient long throw, horn loaded speakers. Our services are great for out of town bands who don't want to haul all of their own PA equipment - they just need to travel to your venue with their instruments (guitars, amps, drums, keyboards, etc.) and Encore provides the rest. We're also great for multiple act shows, such as festivals, fairs, etc. where we provide a single sound system that all the performers will use reducing set up time between performers. If you are in need of a simple amplified microphone system, we do that too. These are often used for ceremonies, presentations, sporting events, and basically anytime a microphone is needed. Encore also performs maintenance and repairs. So if you have a permenantly installed system that isn't working quite right, we can come and inspect it for you and advise what repairs are necessary, if any, and get it working for you again. Or, if you are a musician or in a band, and you need to have your PA equipment or speakers fixed, you can bring your gear to us and we'll have a look.